100 cotton yellow coveralls Features : Name 100 cotton yellow coveralls Model number EM311 Fabric Polyester/Cotton,Twill Weight 170g/s.m-280g/s. m Size 46-60 Features 2 chest pockets 2 front pockets 2 back pockets 2 cargo pockets Elasticated back 5# front zipper Reflective tape Access slits to undergarments Conform to EN471 class 2 We Specialized in producing: uniform, casual pants, jackets, cargo pants, bib pants, overall (boiler suits), chef's suits, medical suits, lab coats, aprons, pajamas,fishing vest etc. We can also provide Special function:like waterproof,oil resistance, flame retardent, antistatic, anti-acid,acid-alkali-resistance ,reflected and fluor functions. sample display hoose the color from pantone card and send the number to us, school uniform color will be made same as the pantone card. so if you can&rsquo;t see the product you are looking for, you can customize according to your own ideas. quality guarantee the admin provides multiple options for styles,fabrics, colours. Jiangyin Yiqifeiyang Apparel Co., Ltd.
Xuchang Jinfeng Garment Co., Ltd.
Our protective coverall can provide best protection for wearer. We have coverall , trouser, jacket, bib and brace , coat, and shirt. Q: How can I get protecitve coverall samples9 A: We charge for coverall sample making, but we will refund if customers place the order. xinke protective is a global supplier for advanced flame retardant fabraics and personal protective workwear, and a member of chinese professional garments industry association. etc quality control xink protective oversees the whole operation, for spinning the yarn to weaving, dyeing and finishing the fabrics in five mills across china. We Sofar International Industry are manufacturing all kind of Working Clothes, Workwear, Dungaree, Overall, Coverall, Out Door Clothes, Uniform & Promotional Items since 1998. We are dealing in following products Working Shirt, Working Trouser, Working Vest, Working Short, Legging, Tregging, Overall, Coverall, Working Bib Apron, Waist Apron, Leather Apron, Cap & Promotional T-Shirt. Fabric Range: 100% Cotton Canvas, Dyed Twill Fabric, Drill Fabric, 100% Polyester Fabric, Gsm: 150g TO 650g/ M2 Customized designing, logo printing, Embroidery & Label Welcome Looking forward to hearing you soon Thanks & Regards Asif Nazir (G. M) Sofar International Industry Manufacturers of Woven Garments, Bags, Leather Products and Promotional Items. Shijiazhuang Ylient Textile Co., Ltd.
,LTD,is specialized in manufacturing weaving working clothing for exportation. Our products are mainly export to Europe & Middle East countries etc. 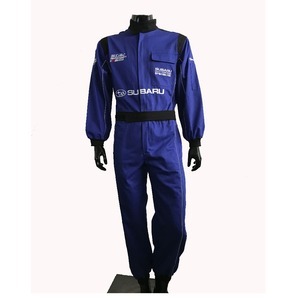 you are sure to get a grreat pair of coveralls for men! 70% against the copy of B/L Customize All the products can be done according to your requirments Suzhou Wantex Garment Co. ,Ltd Our factory: Certificates: Contact information Contact person : Sunny Meng Company name: Suzhou Wantex Garment Co. , Ltd Office Add: Room 502,building 123 double Win international financial city ,No. 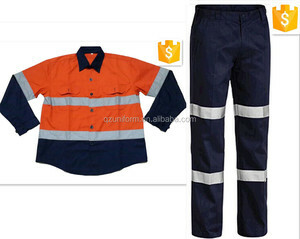 Alibaba.com offers 7,620 workwear uniform coverall products. About 68% of these are other uniforms, 18% are safety clothing, and 1% are reflective safety clothing. 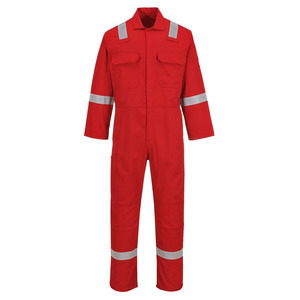 A wide variety of workwear uniform coverall options are available to you, such as free samples, paid samples. 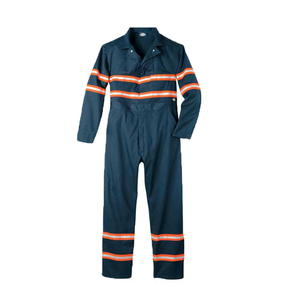 There are 7,518 workwear uniform coverall suppliers, mainly located in Asia. The top supplying countries are China (Mainland), Pakistan, and Taiwan, which supply 89%, 6%, and 1% of workwear uniform coverall respectively. 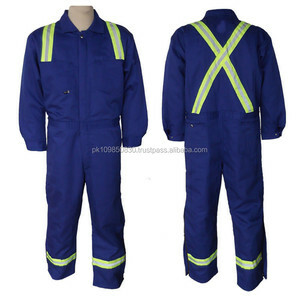 Workwear uniform coverall products are most popular in North America, Domestic Market, and Western Europe. You can ensure product safety by selecting from certified suppliers, including 6,706 with Other, 1,339 with ISO9001, and 389 with ISO14001 certification.